We believe in the concept of learning by doing. 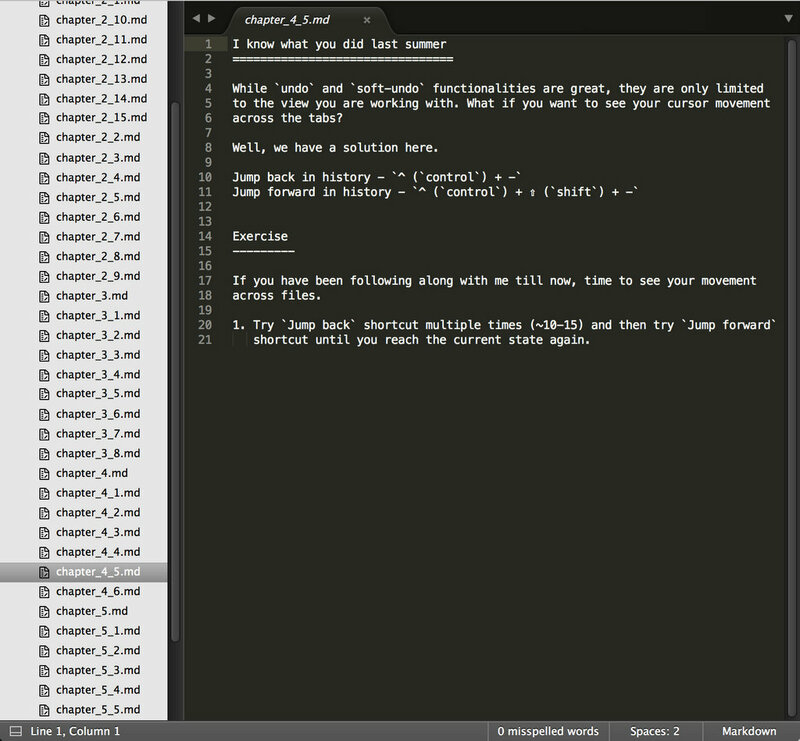 Sublime Tutor takes you methodically from the most basic commands to very advanced ones. 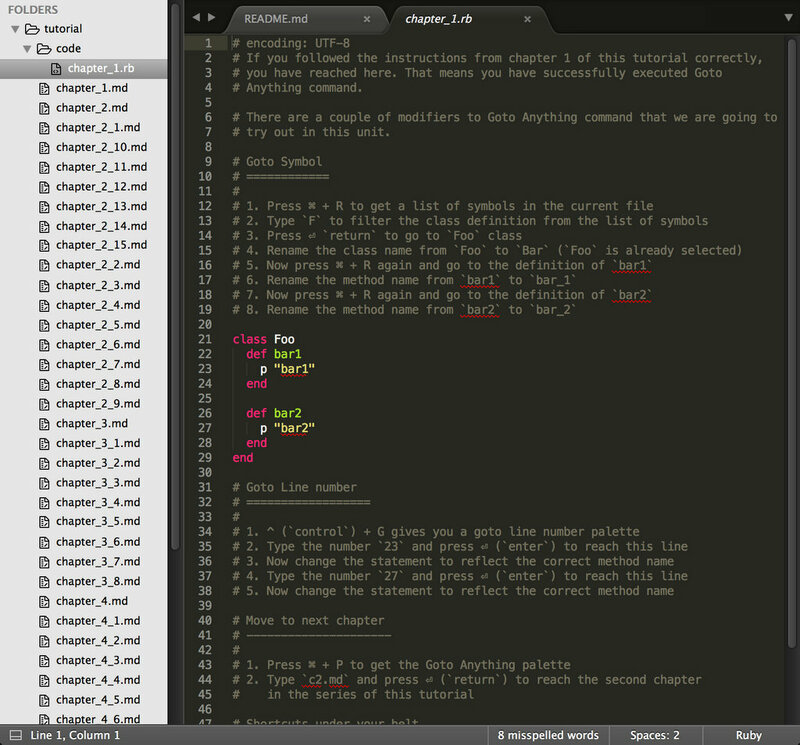 All of this happens inside the editor itself. Number of interesting exercises keep you entertained throughout the course. The shortcuts taught can be instantly tried out. Spaced repetition ensures that you remember them. Unlike a web based course, you don't need to switch tabs which breaks your focus. 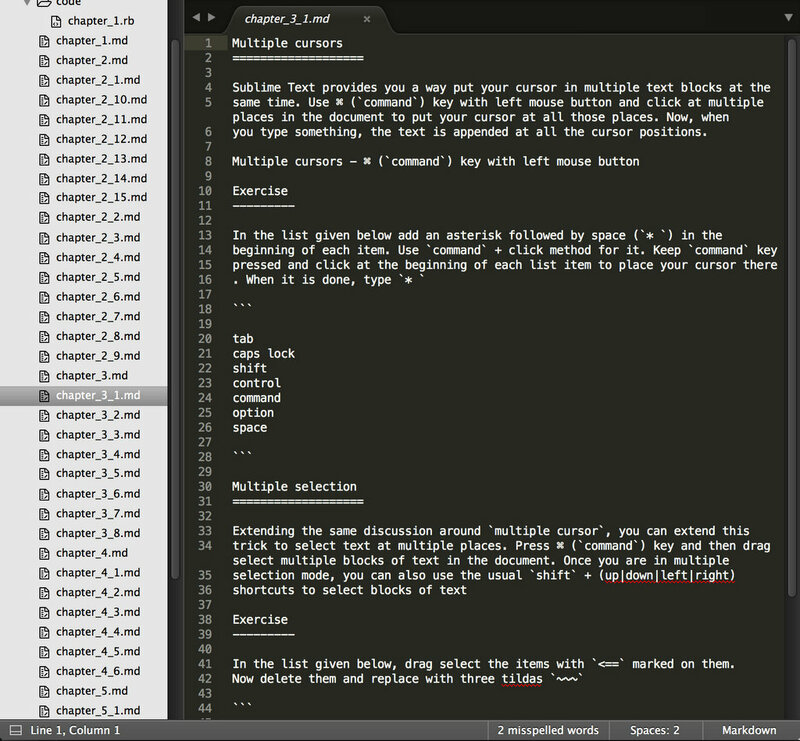 Feel like home in Sublime Text's interface and learn new commands. 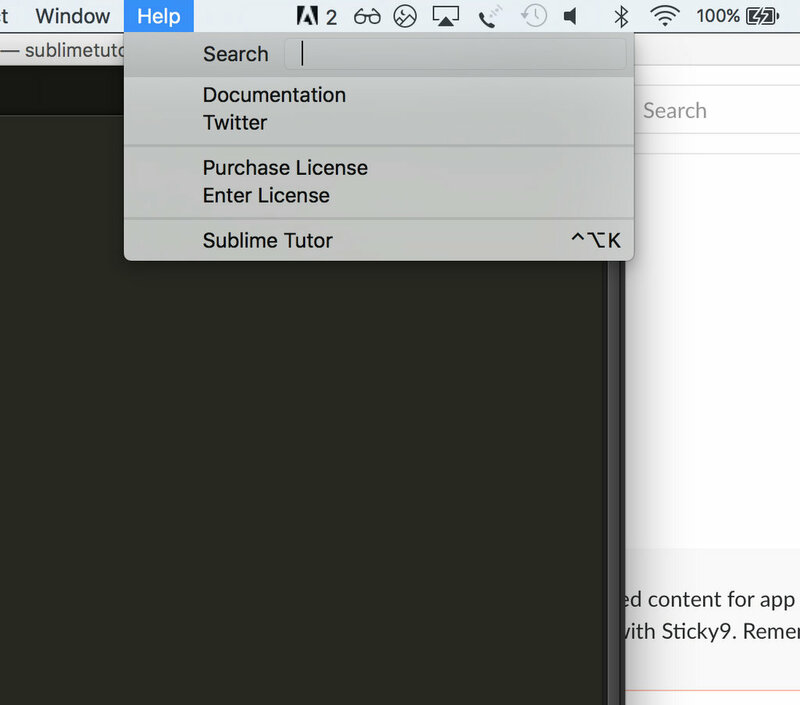 Post installation, the tutor can be accessed through the menu item or via a handy shortcut. 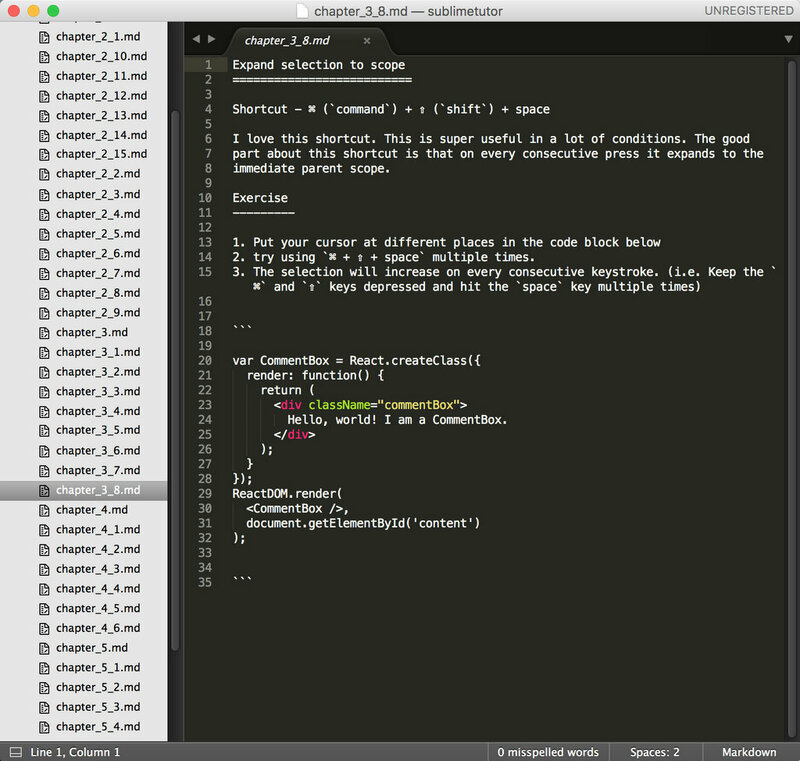 The whole package is full of interesting exercises involving Sublime shortcuts. 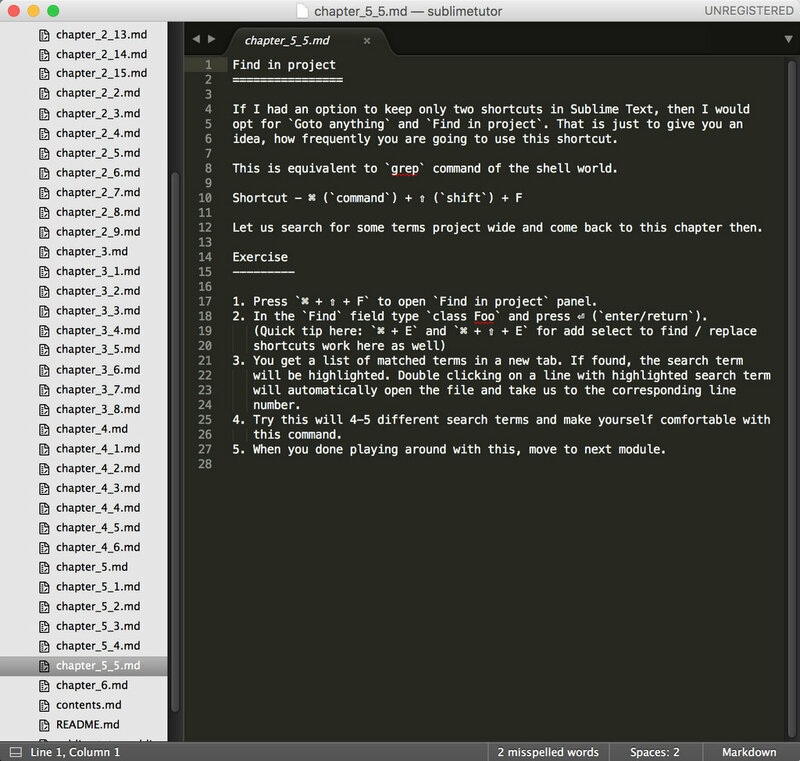 4 hours of Sublime Tutor will get you 1000 saved hours of your actual development time. Made with love from Mutables. 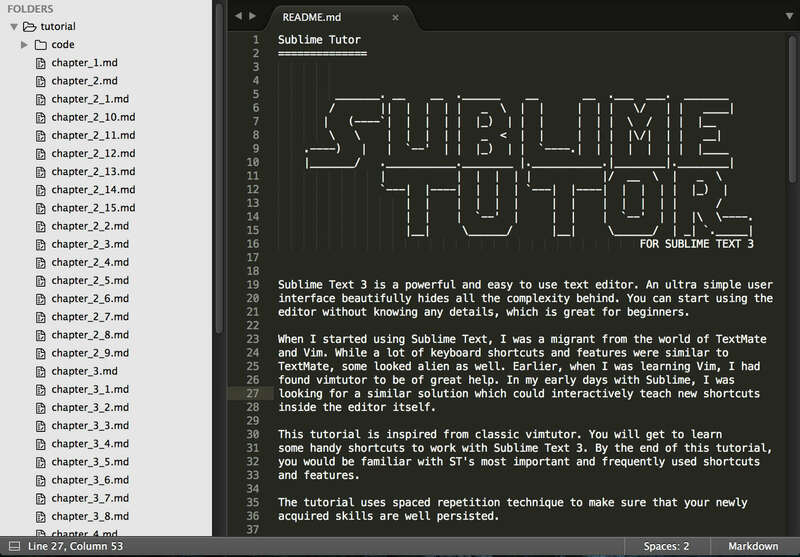 Disclaimer: SublimeTutor is in noway affiliated with Sublime Text.